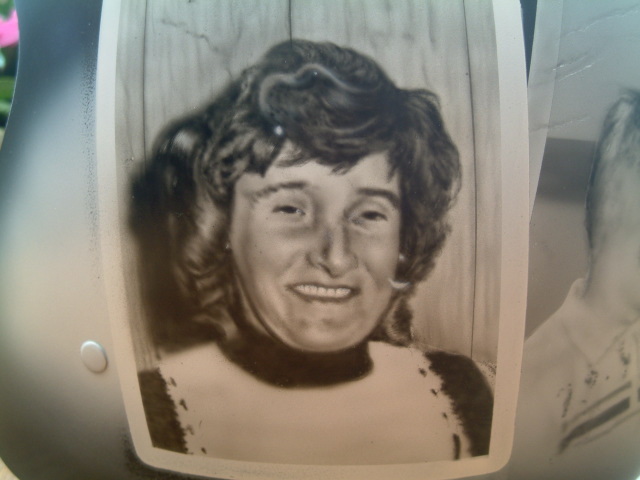 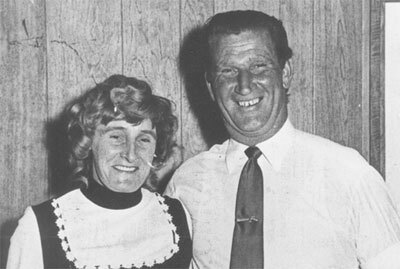 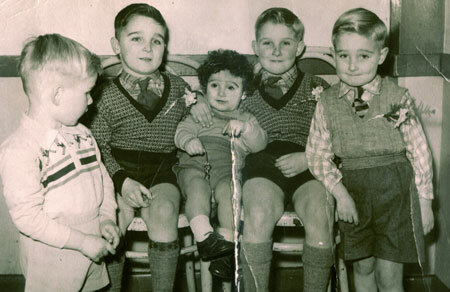 Terry visited me with a photograph of him and his 4 brothers taken when they were lads and a photograph of his parents. 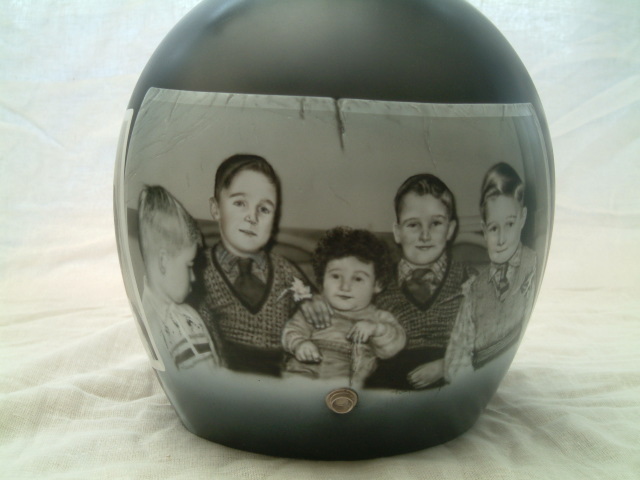 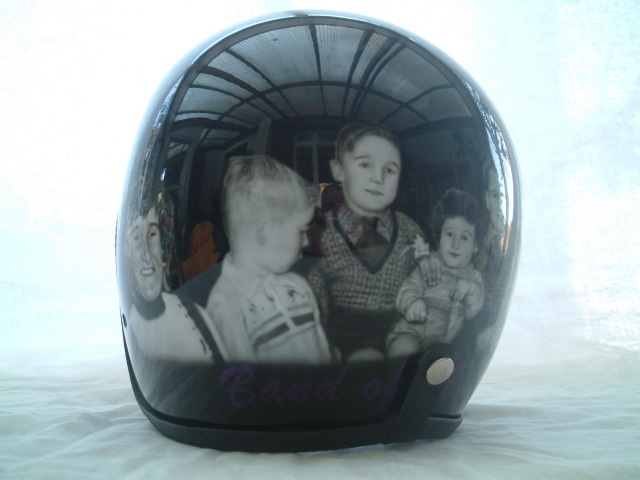 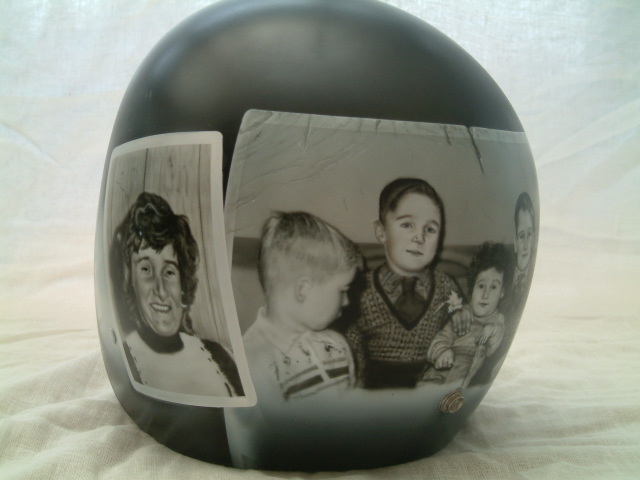 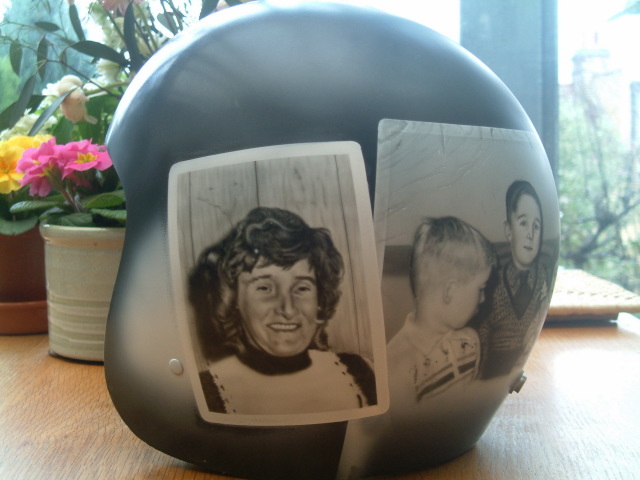 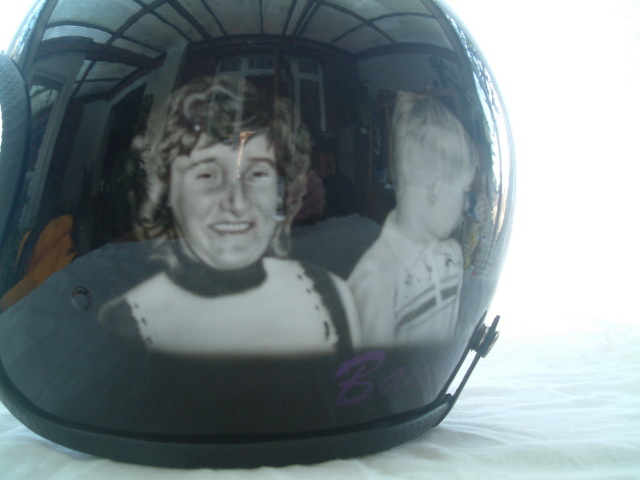 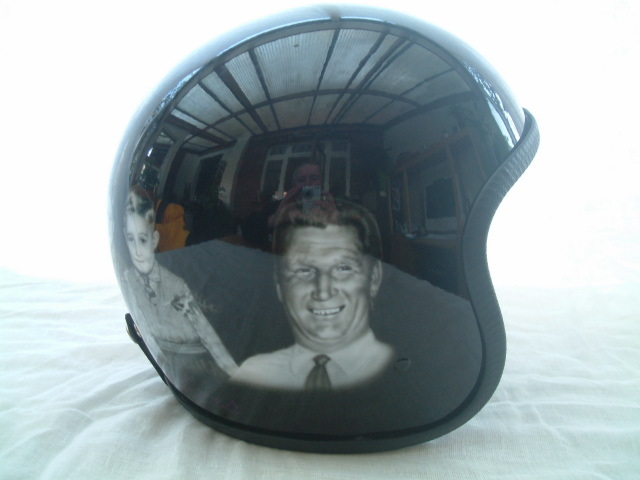 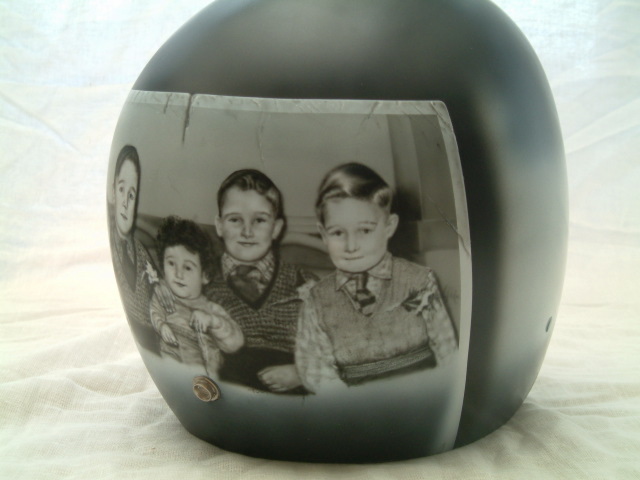 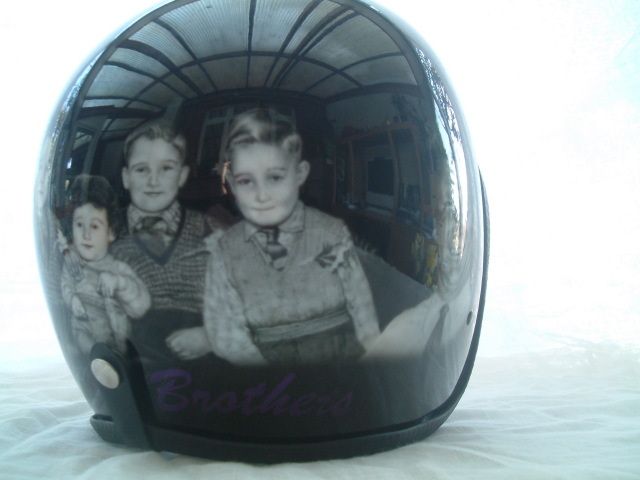 He wanted portraits based on the photographs painted on his motorbike helmet. 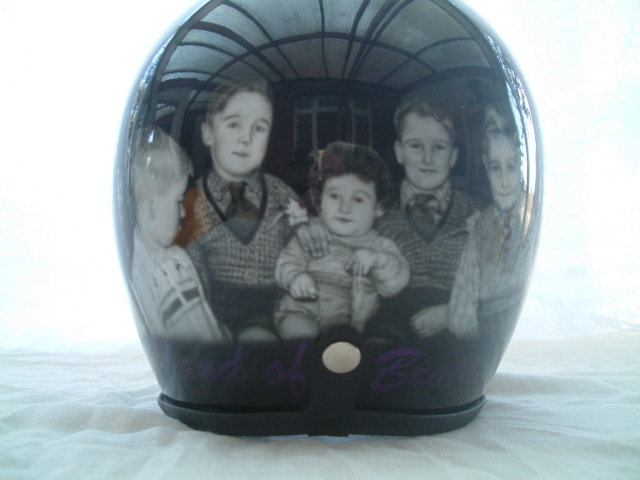 but Terry wanted the portraits against a black background, with the words 'Band of Brothers' underneath their portraits.